We were invited to check this new Japanese fast food restaurant at Spark’s Mall, P. Tuazon Cubao that would surely hit also in the metro. 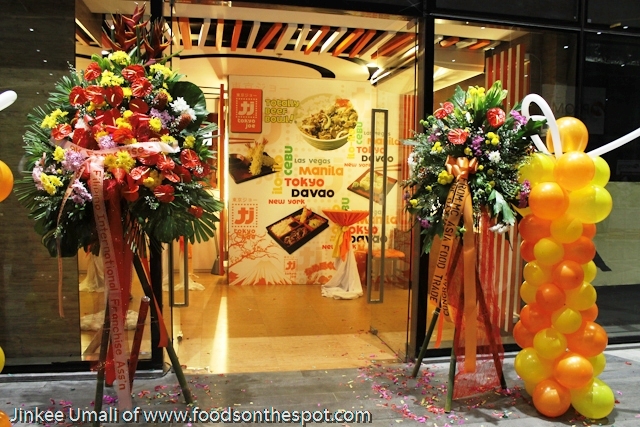 Tokyo Joe Japanese fast food chain was launched first in the Queen City of the South, Cebu last March 5, 2012 at Ayala Center Food Choices. 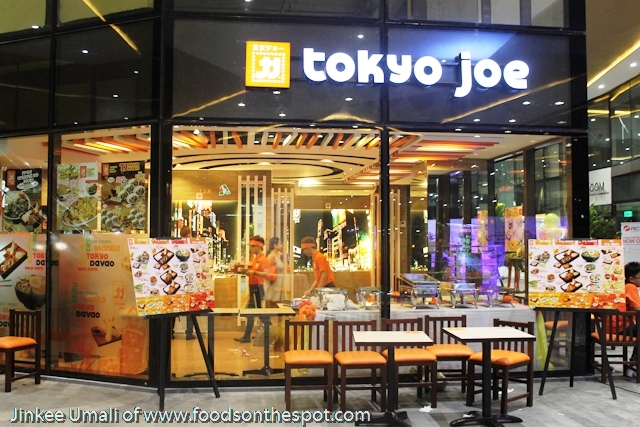 In a short span of time, one can find a Tokyo Joe in many a strategic spot in Cebu which also conquered Davao and Iloilo, and Fairview in Quezon City, Metro Manila. 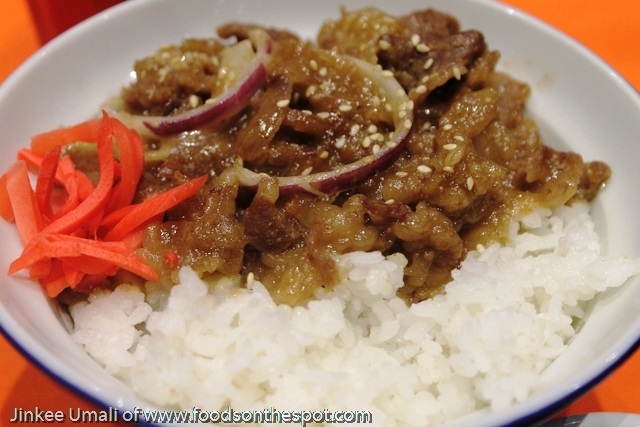 A must-try with Tokyo Joe is their Beef Bowl Misono – their bestseller. Unlike with other beef bowl servings, the thickness of the misono sauce is more intense and flavorful. 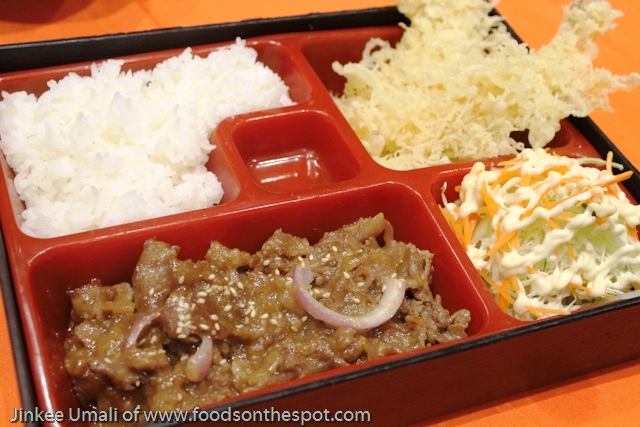 The thinly sliced beef strips is very tender and well-marinated yet succulent in taste. The batter used in Shrimp Tempura is not too much that made it crunchy and crisp in texture that made shrimp inside fresh to taste. We were late then. I missed this beautiful yet delightful makis that was served during the opening. Haisst! Anyway, still, there is a reason for me to come back. They now also offer new additions to their extensive menu like new Miso Ramen or Tonkutsu Ramen (Roasted Pork ramen). And for rice lovers, you can dig into TJ’s tasty Pork Katsu (breaded pork cutlet topped on rice) as you sip a steaming Sukiyaki bowl on the side. Special Yakimeshi is also available in two sizes, single serve and platters for your family and friends. 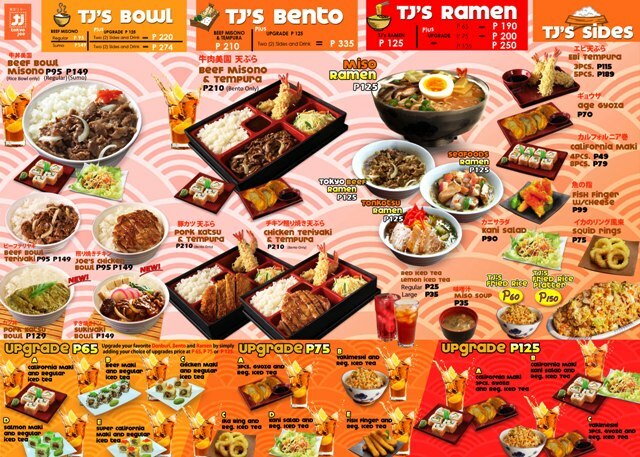 With a price between P65-125, one can already enjoy their beef bowk, ramen and bento with an upgrades. All these special treats comes with free Regular size LIPTON iced tea or LIPTON red iced tea. The said fast food chain will open their doors at the University Mall – De La Salle Manila, SM Manila, SM Bacolod, Robinson’s Las Pinas, and Robinson’s Roxas City all soon to open within the year which also plans to open another 10 to 15 branches the following year of 2016. Definitely, will come back to taste more their delectable meals with my kiddos. 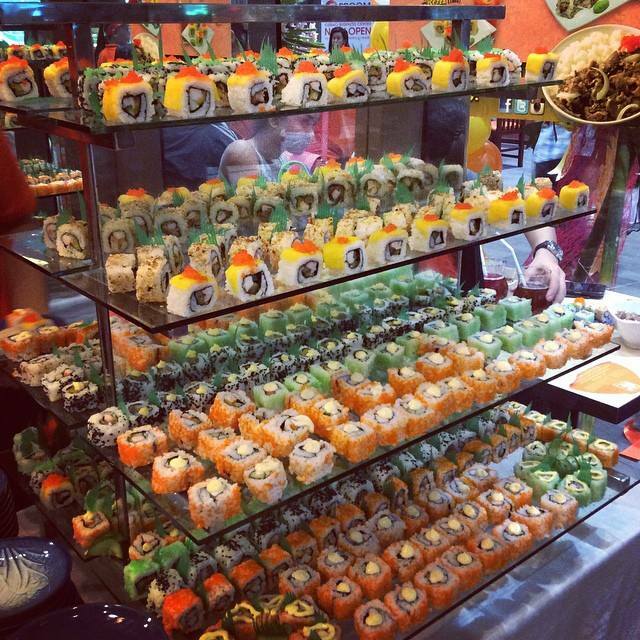 Like me, they would surely enjoy their mouthwatering Japanese meals yet budget friendly.